i. The first meeting of the India-Bangladesh Joint Committee on Border Haats concluded in Agartala, Tripura. ii. Extensive discussions were held on issues related to review of operations of the four functional Border Haats and suggestions for improvement, timeline for setting up the six additional Border Haats that had earlier been agreed to by both sides and the roadmap for further expansion of Border Haats. · Bangladesh PM- Sheikh Hasina, Capital- Dhaka, Currency- Bangladeshi Taka. i. The Lok Sabha passed the Negotiable Instruments (Amendment) Bill, 2017 which has the provision of allowing a court trying an offence related to cheque bouncing, to direct the drawer to pay interim compensation to the complainant. ii. According to the Minister of State for Finance Shiv Pratap Shukla, 16 lakh cheque bouncing cases are lying in the subordinate courts and 35 thousand cases are in the higher judiciary. The interim compensation will not exceed 20% of the cheque amount and will have to be paid by the drawer within 60 days of the trial court’s order to pay such a compensation. i. Road Transport and Highways Minister Nitin Gadkari launched development projects worth over 5400 crore rupees in Guna district of Madhya Pradesh. ii. He addressed the gathering during Vikas Parv and farmers’ convention in the district. The minister also laid the foundation stones of five national highway projects stretching 226 km at an investment of Rs 3,583 crore. · Madhya Pradesh CM- Shivraj Singh Chouhan, Governor- Anandiben Patel. i. The Union Government has reduced the minimum annual deposit requirement for accounts under Sukanya Samriddhi Yojana from Rs 1000 to Rs 250. The minimum initial deposit to open the account has also been reduced to Rs 250.
ii. The move is aimed at enabling more people to take advantage of the girl child savings scheme. The government has amended the Sukanya Samriddhi Account Rules, 2016 for the purpose. · The Sukanya Samriddhi scheme was launched by Prime Minister Narendra Modi on January 22, 2015, as a part of the Union Government’s Beti Bachao, Beti Padhao campaign. i. Considering the increasing incidents of mob lynching, the Union Government constituted a High-Level Committee chaired by the Union Home Secretary Rajiv Gauba to deliberate in the matter and make recommendations. ii. The Secretary, Department of Justice; Secretary, Department of Legal Affairs; Secretary, Legislative Department; and Secretary, Social Justice and Empowerment are the members of the committee. · Mob Lynching is an act to punish (a person) without legal process or authority, especially by hanging, for a perceived offence or as an act of bigotry. i. A Statement of Intent (SoI) was signed between NITI Aayog and Lupin Foundation to collaborate in Aspirational Districts Programme. The SoI was signed by Yaduvendra Mathur, Additional Secretary, NITI Aayog and Sita Ram Gupta, Executive Director, Lupin Foundation. ii. As per the terms of the SoI, Lupin Foundation, with the NITI Aayog, will work in three states - Madhya Pradesh, Maharashtra and Rajasthan to facilitate the creation of an ideal template to develop economic strength, technological viability and moral leadership across three districts in these states. i. India and Rwanda signed eight agreements following delegation-level talks between Prime Minister Narendra Modi and Rwandan President Paul Kagame in Kigali. The two countries signed agreements in the fields of Defence, Trade, Agriculture, Leather and allied products and Dairy. ii. India also extended two Lines of Credit of 100 million US dollars each – one for development of industrial parks and Kigali Special Economic Zone, and the other for three agricultural projects in Rwanda. Mr Modi became the first Indian Prime Minister to visit Rwanda on the first leg of his three-nation tour to Africa. iii. PM Modi also gifted 200 cows to villagers as a part of Rwandan Government's Girinka Programme. · Rwanda Capital: Kigali, Currency: Rwandan franc. i. Pakistan has got its first-ever woman Chief Justice of a high court. Justice Tahira Safdar was named as the Chief Justice of the Balochistan High Court by Chief Justice Mian Saqib Nisar. ii. Justice Safdar had made history in 1982 when she became the first woman civil judge in Balochistan. i. Nearly two dozen Banks and Financial Institutions, including SBI and LIC, have signed the inter-creditor agreement (ICA) framework to speed up the resolution of stressed assets which are under the 500-crore rupee bracket. ii. The framework is part of the Project SASHAKT, the report on bad bank drafted and submitted by the committee headed by Non-executive Chairman of PNB, Sunil Mehta. ii. The objective of ICA is to resolve stressed assets fast, and will primarily focus on NPAs in the 50 crore to 500 crore bracket. ii. 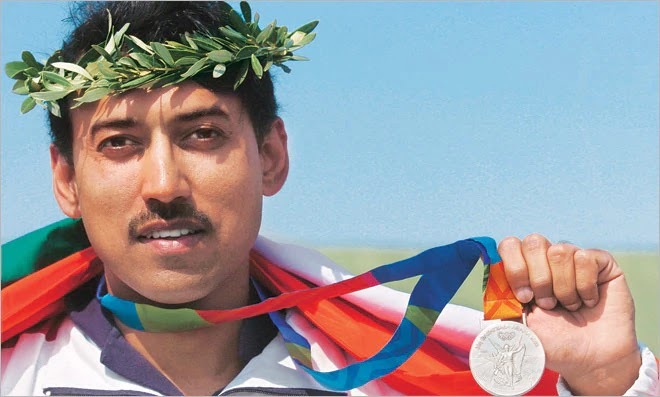 According to the revised rates, Olympic and Para Olympic medallists will get a sum of Rs 20,000 per month each, while gold medallists at World Cups and World Championships in Olympic and Asian Games disciplines will receive Rs 16,000 per month. iii. Silver and bronze medallists at World Cups in Olympic and Asian Games disciplines will receive a sum of Rs 14,000 per month and an equal amount is payable to gold medallists of the Asian Games, Commonwealth Games and Para Asian Games. i. Lewis Hamilton won the German Grand Prix 2018 held at Hockenheimring track in Germany. Mercedes’ Lewis Hamilton secured the first position. ii. He was followed by Valtteri Bottas of Mercedes in the second position. Ferrari’s Kimi Raikkonen secured the third position. i. The Tokyo 2020 Organising Committee officially launched its Olympic mascots 'Miraitowa' and Paralympic mascot 'Someity' at a ceremony attended by Tokyo Governor Yuriko Koike and Committee’s President Yoshiro Mori. ii. The name of the blue-checked Olympic mascot ‘Miraitowa’ is derived from a combination of the Japanese words for future and eternity and seeks to "promote a future full of eternal hope in the hearts of people all over the world". iii. The pink-checked Paralympic mascot 'Someity' owes its name to a type of cherry tree blossom and exhibits enormous mental and physical strength. · Winter Olympics will be held in Beijing, China in 2022.
i. The Men’s team event of the World Junior Squash Championships has begun in Chennai, Tamil Nadu. A total of 24 countries, divided into eight groups, are taking part. India, placed in Group-E alongside Switzerland and Saudi Arabia, is seeded fifth. ii. Egypt has been given the top billing and is in Group-A. Canada has been seeded second and England third. Pakistan has been placed 11th.